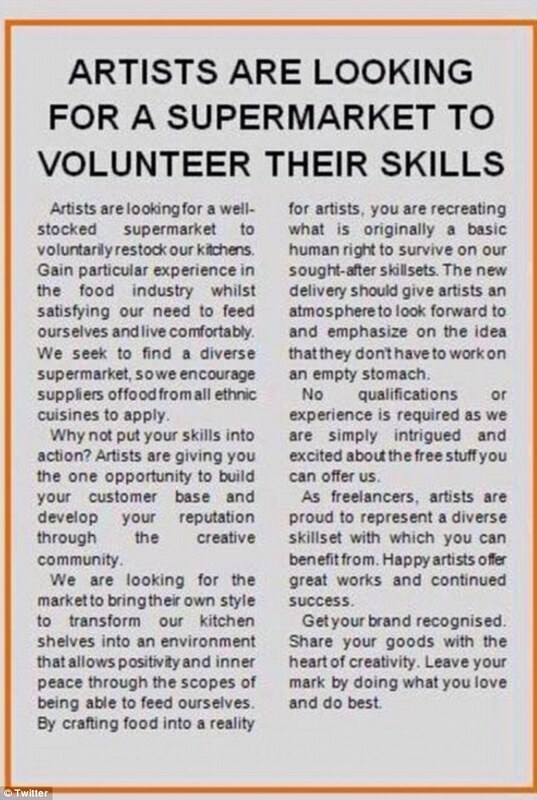 Putting aside the fact that a £5.2billion organisation wants a local artist to paint their Camden canteen for nothing, the copy is appalling. The ad in the paper. And the biggest error – it’s all ‘top down’, not ‘bottom up’. It doesn’t answer ‘what’s in it for me’ from the point of view of the reader, which is what all marketing and advertising is about (as you will know if you have read any of my blogs or attended any of my training courses). It’s not just sole traders, entrepreneurs and small businesses who need a bit of help with their copy. Even big brands get it wrong. The reputational damage is immeasurable. 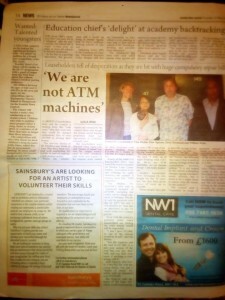 After the #PayArtists hashtag trended in the UK, the story was all over the BBC and national press. 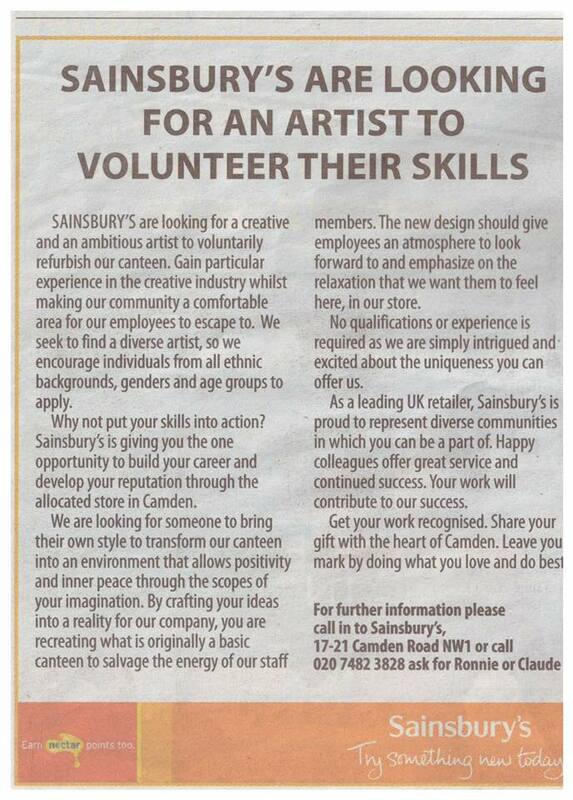 2 Responses to Sainsbury’s: What in the world were you thinking? Whoops: “emphasize” is absolutely correct BRITISH English – it says so in the OED and that’s good enough for me. 1 The form -ize has been in use in English since the 16th century; although it is widely used in American English, it is not an Americanism. The alternative spelling -ise (reflecting a French influence) is in common use, especially in British English. It is obligatory in certain cases: first, where it forms part of a larger word element, such as -mise (= sending) in compromise, and -prise (= taking) in surprise; and second, in verbs corresponding to nouns with -s- in the stem, such as advertise and televise. I would say use -ize if you are writing to a US/international audience, and -ise if you are writing to a UK audience, as in this case.